Here at Bartell Global we want focus on the needs of our customers to help them achieve the best results possible, which is why we want to try and eliminate the misconception that Grinding is always better than Shot Blasting. First, we would like to make it very clear that we are not saying that Grinding isn’t as good as Shot Blasting. We offer various types and sizes of Grinders, so clearly we see the many benefits of using them in the surface preparation industry, when applicable. We are simply trying eliminate the misconception that some are spreading about Shot Blasting; because like Grinding, Shot Blasting can be very beneficial and even save you time and money. It all comes down to understanding Surface Preparation. If you have a good understanding of the process, and understand what end result you are looking for, you can then easily figure out what is the best piece of equipment to use. Ultimately, it should be about what piece of equipment is best in a specific job circumstance, instead of trying to force fit one type or style into all job types and situations. Grinders are a great option when looking to grind off elastomeric, or rubbery coatings. The reason this is a better option, is because if you tried Enclosed Shot Blasting in these situations, the steel shot would bounce off without breaking it down properly. Polishing is best done by a Grinder – It is impossible to polish with a Shot Blaster, I think everyone can agree with that. 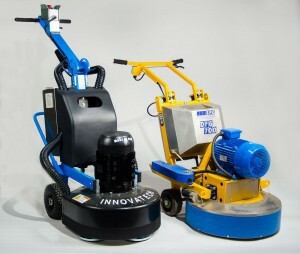 Grinders are best to use when prepping for flooring like VCT tile and carpet. In this case you would definitely want to use a grinder; the profile that Shot Blasting creates is slightly too aggressive for this type of flooring. For example, eventually the VCT would set into the profile and you would notice it through the flooring. So, as you can see, and probably already know, Grinders are a great option for various situations. Our goal for this blog is to show you that Shot Blasting is equally a great option, and that in many situations, it will save you time, effort, and money. Shot Blasting cleans and profiles concrete to achieve an ideal surface for bonding coatings, overlays, toppings etc. Some manufacturers won’t warranty their product without prepping the concrete with Shot Blasting, which further illustrates the importance of it. - If a Grinder has been used in place of a Shot Blaster in these situations, then the coating will not adhere properly and will not last as long as it would if the concrete had been prepped with a Shot Blaster. Steel cleaning and prep cannot be done properly with a Grinder. Removal of thin glue or epoxy paint is best done with Shot Blasting because Grinder segments can get the coating stuck on them making them less efficient. - It is also significantly faster than Grinding and a lot less expensive because, other than the Shot (which is fairly inexpensive in comparison to blades), there is no tooling required that needs to be replaced consistently. Shot Blasting is often significantly faster than Grinding in situations where both could be used. In addition to time saved, the consumables needed for Grinders tend to be more expensive than the shot needed for Shot Blasting. If you can do a job in less time, that offers better bonding results, and spend less money on consumables, that can be an advantage. This is the exact reason why we want to share this information and try our best to eliminate the misconception that Grinding should replace Shot Blasting in all circumstances. In no way are we saying that Grinding or Shot Blasting are better than the other indefinitely. Every circumstance is unique and should be evaluated accordingly. 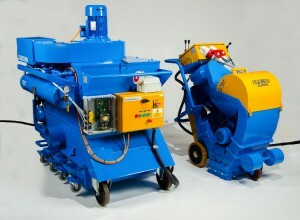 We just want to ensure that neither Grinding nor Shot Blasting are being eliminated as an option. We want to help you make the best decision that will ensure maximum efficiency and profit, for your project. In some circumstances Grinding will be a better option, and Shot Blasting in others. 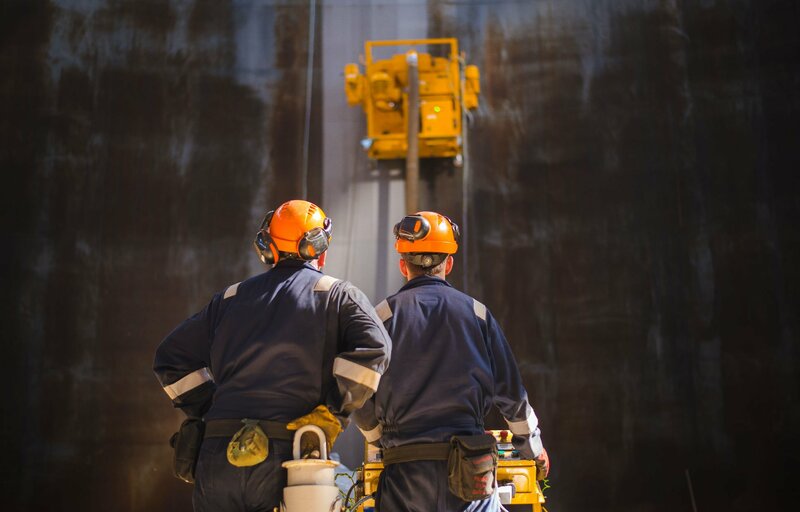 If you still believe that Grinding should replace Shot Blasting in all circumstances, we encourage you to contact one of many product experts, at any time, to answer any questions you may have.